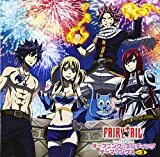 Today, we will be introducing a pachislot machine of a highly popular content called “FAIRY TAIL”. We have just introduced its pachinko version last month, but its pachislot version is now making its debut!! This new pachislot machine is loaded with a special monitor called “FAIRY VISION” that can change its size!! This monitor will excite the players with its breathtaking renditions!! Players should pay special attention to “FAIRY TIME” which decides the rendition to continue or not by battles. The expectations for the win will increase if other characters gather during the jackpot round!! Something will happen if Makarov, Laxus, Gildarts or Mystogan joins the battle!! This new machine filled with endless excitement will make its debut right after the “Golden Week ” in May! !